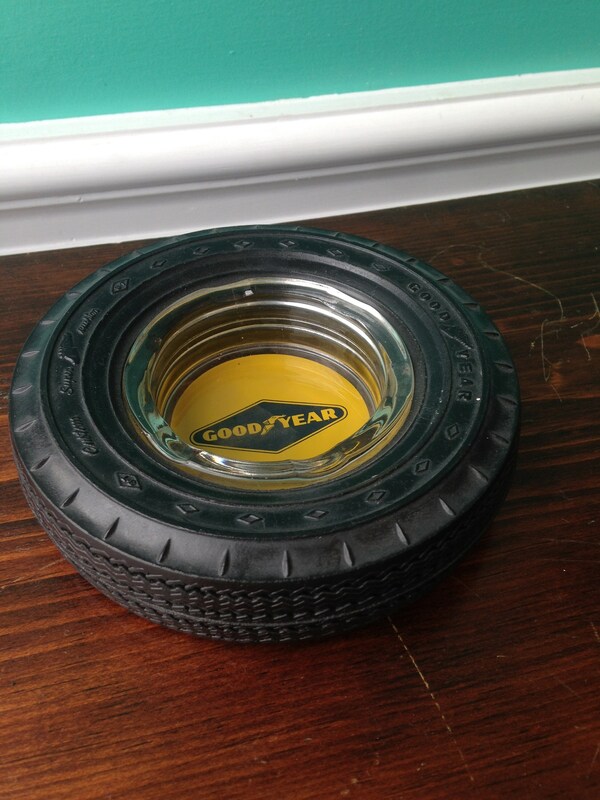 Collectible Good Year tire ashtray. 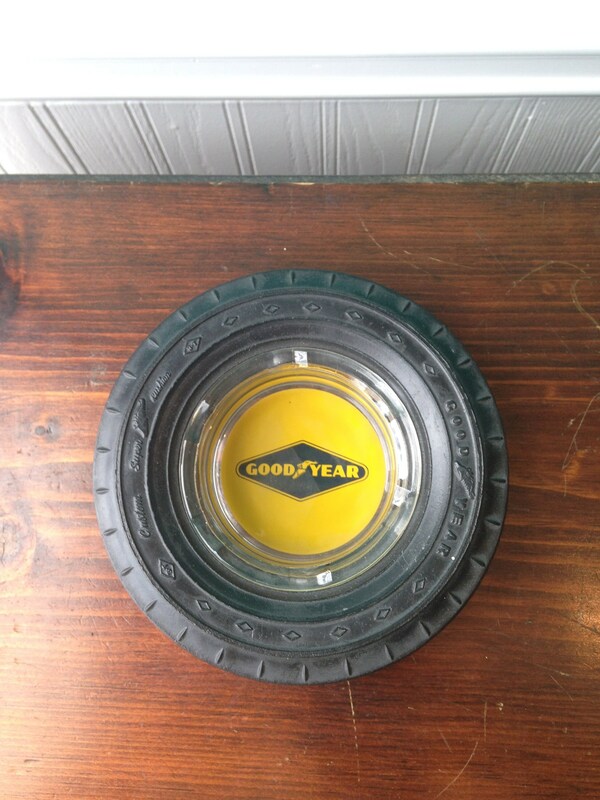 Goodyear tire ashtrays are characterised by a glass insert wrapped in a scaled-down version of an automobile tire. 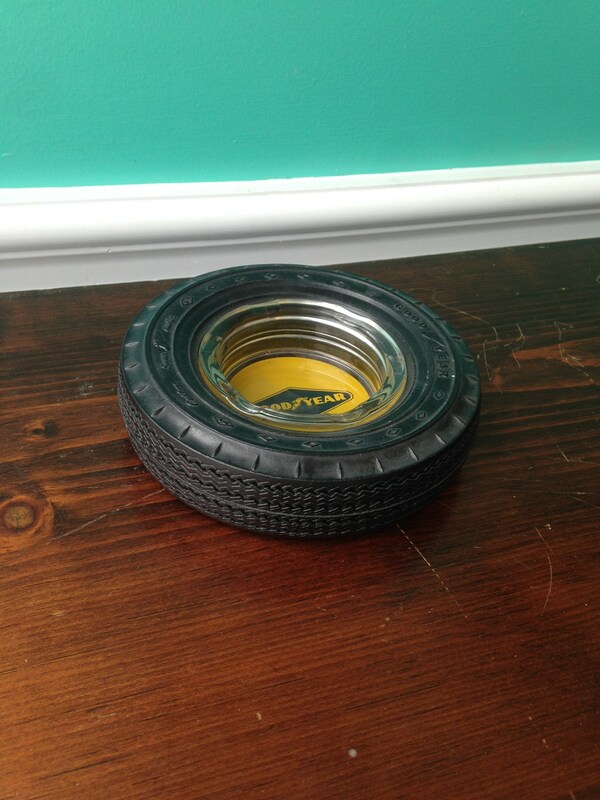 Essentially, the tires can be considered as a miniature of the real thing. 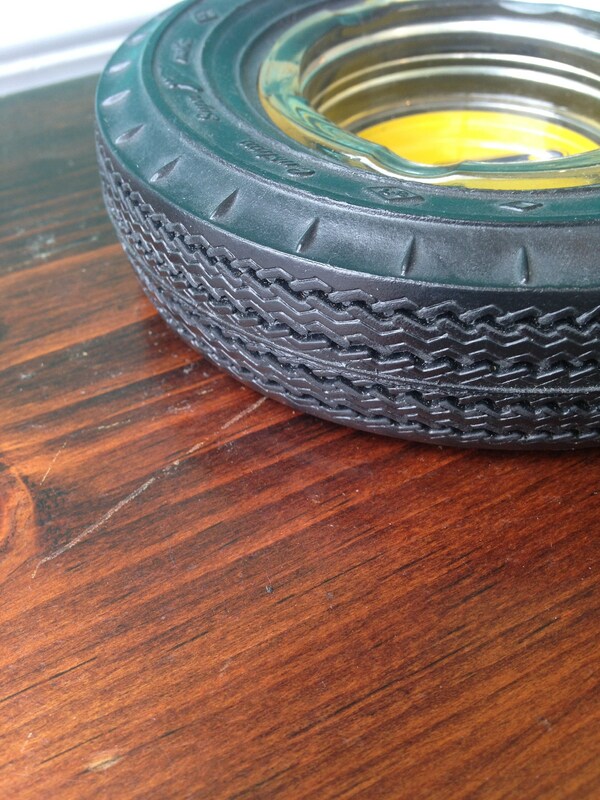 Branded on their sides are the Goodyear logo, sizes and other classifications found on real tires. They were considered and produced to be exact replicas in every way. 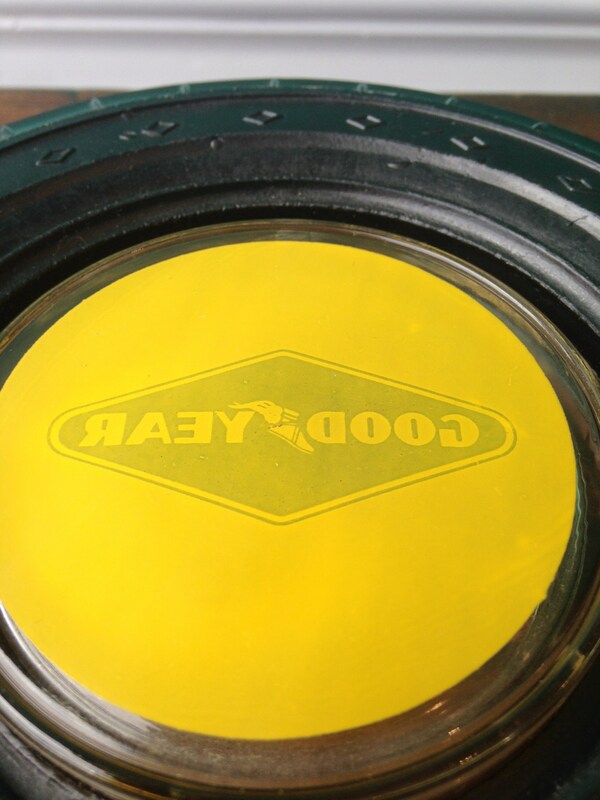 Goodyear tires ashtrays were first manufactured in the 1950s and continued to be produced and distributed until sometime in the 1980s. 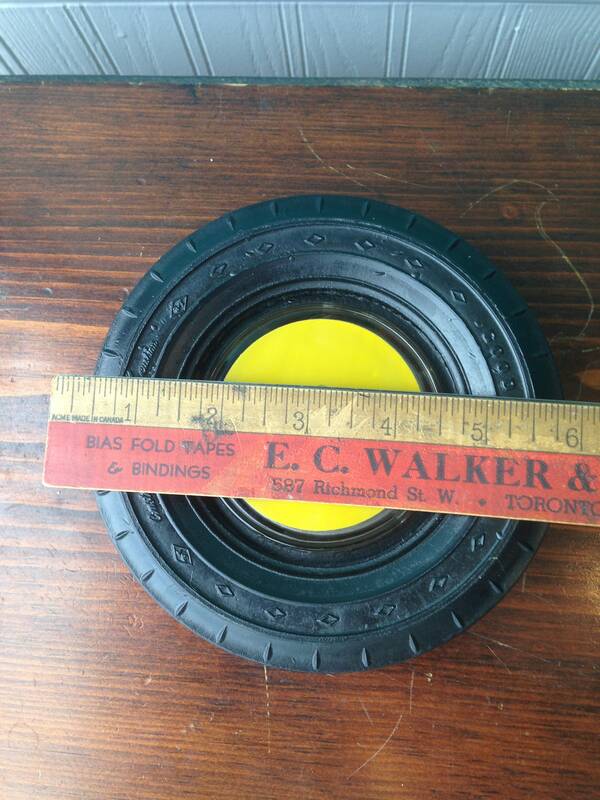 Is it believed that high production costs were the main reason why Goodyear chose to halt production of these novelty items. The paint, rubber and glass are all in amazing condition.